The combination of ozone and UV-C (AOP) integrated in this smart designed purifier, ensures fresh and healthy pool water with the possibility of using a minimum of chlorine. The Blue Lagoon AOP Compact Ozone & UV-C is especially designed for saltwater pools. 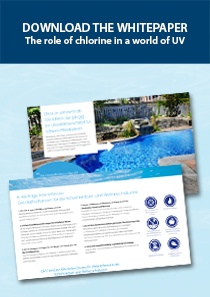 The Blue Lagoon AOP Compact Ozone & UV-C is especially designed for saltwater pools. This revolutionary combination of ozone and UV-C (AOP) makes a pool with a minimal amount of chlorine possible! With this Blue Lagoon AOP Compact Ozone & UV-C Saltwater unit on your pool system you´re able to keep your pool water fresh, crystal clear and especially hygienic clean. 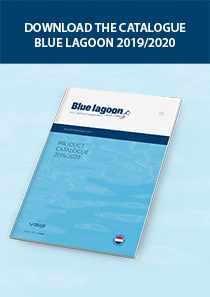 You connect the Blue Lagoon AOP Compact Ozone & UV-C on to your swimming pool system. Using a pump, the water is pumped into the unit through the supplied reactor. Because of the water pressure in the reactor, air is sucked through the Venturi system. Air is sucked into the unit via the air valve and flows through the area between the quartz glass and the AOP Compact Ozone & UV-C lamp. The lamp has a double function, producing ozone and UV-C light at the same time.